"It's time to play... Mystery Quotation (#3)!" One becomes humble, not by opposing to the swellings of pride lowly or mean thoughts of himself, but one becomes humble by thinking upon Christ and exalting Him to others. In other news, I put out a search-inquiry on my blog, but no passers-by had the answer. This is a quotation I can't source, though I've searched for decades. I turn to my other resourceful readers here at the team-blog. I could swear that I read, at some point, J. Gresham Machen saying that for a pastor not to know Greek makes about as much sense as a professor of French literature not knowing French. But I've never been able to source that quotation; and I'm a bit obsessive about not using quotations I can't source. Does anyone know where that's from? No, TeamPyro is not dead. I know that the odds of no posts being made on 3/29/2006 were about 10,000: 1, but it happened, and the bookies in Vegas are breathing a sigh of relief that nobody put down a $1000 bet that there would be a Wednesday in which not one Pyro would have something to say. Of course, nobody placed a bet because of the moralizing going on over at Pulpit Live, but that's why they are moralizing over there. To keep you from winning the big money and retiring early. 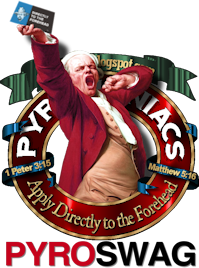 Oh yeah: I also wanted to add that I take a lot of good-natured razzing here at TeamPyro for offering the junk shop and running a Christian bookstore, but I'd like all of you hecklers to go over to Pulpit Live and try to add a comment to Phil's latest post(s). And then leave your comments here. Back in August, I wrote a post about my friend Col. Jeffrey Williams, the astronaut. I mentioned that Jeff was slated to be launched in a Soyuz spacecraft from Kazakhstan for a six-month stint in the International Space Station. Well, the launch of Expedition 13 is slated for Wednesday evening (29 March; 8:30pm Houston time). Jeff will be on board, traveling to the Space Station with Russian Commander Pavel Vinogradov, and Brazilian Astronaut Marcos Pontes (Brazil's first astronaut). Pontes will return in a few days in the Soyuz capsule with the crew of Expedition 12, who have occupied the Space Station for the past six months. Williams and Vinogradov will remain in orbit in the Space Station until next autumn. They will be joined by a third crew member from NASA at some point during their stay. The Space Station has been continuously occupied by humans since November 2000. That's really amazing, when you think about it. Here's a fascinating NASA interview with Jeff that will help you get to know him better. Jeff is a reader of PyroManiacs, and he may well become the first American ever to read this blog from space. He also has one of the original PyroManiac decals. I dared him to stick it on the outside of the Space Station during his spacewalk. He didn't think that was very funny. But I've invited him to contribute a guest post, or at least a photo or two while he's in orbit. He didn't flat-out say no. We'll see whether his schedule permits that. Meanwhile, pray for Jeff, and also for his sweet wife Anna-Marie. (You can barely imagine the stress she must endure during her husband's six-month orbit). Pray for a safe launch and a safe mission, and please keep both Jeff and Anna-Marie in your prayers during the next six months. The PyroManiacs devote Monday space to highlights from The Spurgeon Archive. Someone recently asked me how long I can go on posting Spurgeon's comments about modernism. "Do you really believe the trends Spurgeon fought against were the same kind of thing as today's postmodern, post-evangelical, 'emerging' approaches to Christianity?" my friend asked. Answer: Even if I lived well into my eighties, I could probably post Spurgeon excerpts twice a week from now until I die and still not run out of material where Spurgeon was declaring his contempt for modernism. All of it would demonstrate conclusively that the various paradigm-shifts convulsing the evangelical movement today are nothing but recycled versions of the same old errors that were being foisted on church leaders by so-called "advanced thinkers" in the Victorian era. That movement ultimately grew stronger despite the opposition of Spurgeon and others like him. Modernism finally commandeered most of the mainstream denominations, then quickly piloted them to their demise. It's hard not to notice that Spurgeon was on the same side of all these issuesand he was saying exactly the same kinds of thingsas those who are most troubled about the drift today. There's little question that Spurgeon would have appreciated and sympathized with "Slice of Laodicea"; he would have been scoffed at and derided as an intolerant "TR" ("Truly Reformed") by certain small-minded critics who apparently cannot imagine a more scathing insult; and he would have been mocked and dismissed by more "enlightened" minds who (in the name of catholicity) reject and exclude every person who raises any biblical concern about the direction they want to go. Incidentally, no editorial work, revisions, contextualizing, or translation is necessary to make Spurgeon's criticism of modernism sound like it fits what is happening today. It does fit, because in the big picture of things, what is happening today is not really a very great "paradigm shift" at all. It's merely the next big skirmish in the age-old war for truth. Some things are true and some things are false. I regard that as an axiom; but there are many persons who evidently do not believe it. The current principle of the present age seems to be, "Some things are either true or false, according to the point of view from which you look at them. Black is white, and white is black according to circumstances; and it does not particularly matter which you call it. Truth of course is true, but it would be rude to say that the opposite is a lie; we must not be bigoted, but remember the motto, 'So many men, so many minds.'" Our forefathers were particular about maintaining landmarks; they had strong notions about fixed points of revealed doctrine, and were very tenacious of what they believed to be scriptural; their fields were protected by hedges and ditches, but their sons have grubbed up the hedges, filled up the ditches, laid all level, and played at leap-frog with the boundary stones. The school of modern thought laughs at the ridiculous positiveness of Reformers and Puritans; it is advancing in glorious liberality, and before long will publish a grand alliance between heaven and hell, or, rather, an amalgamation of the two establishments upon terms of mutual concession, allowing falsehood and truth to lie side by side, like the lion with the lamb. Still, for all that, my firm old-fashioned belief is that some doctrines are true, and that statements which are diametrically opposite to them are not true,that when "No" is the fact, "Yes" is out of court, and that when "Yes" can be justified, "No" must be abandoned. I believe that the gentleman who has for so long a time perplexed our courts is either Sir Roger Tichborne or somebody else; I am not yet able to conceive of his being the true heir and an impostor at the same time. Yet in religious matters the fashionable standpoint is somewhere in that latitude. We have a faith to preach, my brethren, and we are sent forth with a message from God. We are not left to fabricate the message as we go along. We are not sent forth by our Master with this kind of general commission"As you shall think in your heart and invent in your head as you march on, so preach. Keep abreast of the times. Whatever the people want to hear, tell them that, and they shall be saved." Verily, we read not so. There is something definite in the Bible. It is not quite a lump of wax to be shaped at our will, or a roll of cloth to be cut according to the prevailing fashion. Your great thinkers evidently look upon the Scriptures as a box of letters for them to play with, and make what they like of, or a wizard's bottle, out of which they may pour anything they choose from atheism up to spiritualism. I am too old-fashioned to fall down and worship this theory. There is something told me in the Bibletold me for certain not put before me with a "but" and a "perhaps," and an "if," and a "maybe," and fifty thousand suspicions behind it, so that really the long and the short of it is, that it may not be so at all; but revealed to me as infallible fact, which must be believed, the opposite of which is deadly error, and comes from the father of lies. Believing, therefore, that there is such a thing as truth, and such a thing as falsehood, that there are truths in the Bible, and that the gospel consists in something definite which is to be believed by men, it becomes us to be decided as to what we teach, and to teach it in a decided manner. We have to deal with men who will be either lost or saved, and they certainly will not be saved by erroneous doctrine. We have to deal with God, whose servants we are, and he will not be honored by our delivering falsehoods; neither will he give us a reward, and say, "Well done, good and faithful servant, thou hast mangled the gospel as judiciously as any man that ever lived before thee." We stand in a very solemn position, and ours should be the spirit of old Micaiah, who said, "As the Lord my God liveth, before whom I stand, whatsoever the Lord saith unto me, that will I speak." Neither less nor more than God's word are we called to state, but that we are bound to declare in a spirit which lets the sons of men know that, whatever they may think of it, we believe God, and are not to be shaken in our confidence in him. 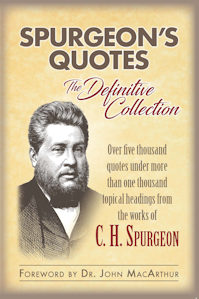 The remainder of this excellent lecture by Spurgeon is available here. Note: All the above links will be slow downloads if you don't have high-speed access. J. C. Ryle's book Warnings to the Churches contains a sermon preached in August of 1858, titled "Not Corrupting the Word." The following excerpt from that sermon was published exactly ninety-nine years later, in the August 1957 issue of The Banner of Truth. That issue of the magazine is included in a wonderful compilation recently re-released by the Banner of Truth Trust: The Banner of Truth: Magazine Issues 1-16, Sept. 1955Aug. 1959. (The following excerpt may be found on page 265). I highly recommend the whole book. Ryle's words here offer some much-needed advice that certain nominally-evangelical bishops ministering in the morass of modern and post-modern Anglicanism would do well to heed. "For we are not as many, which corrupt the word of God: but as of sincerity, but as of God, in the sight of God speak we in Christ" (2 Corinthians 2:17). When can it be said of us, that we corrupt the Word of God in the present day? What are the rocks and shoals which we ought to shun, if we would not be of the "many" who deal deceitfully with God’s truth? A few suggestions on this head may not be without use. We corrupt the word of God most dangerously when we throw any doubt on the plenary inspiration of any part of the holy Scripture. This is not merely a corrupting the cup, but the whole fountain. This is not merely corrupting the bucket of living water, which we profess to present to our people, but poisoning the whole well. Once wrong on this point, the whole substance of our religion is in danger. It is a flaw in the foundation. It is a worm at the root of our theology. Once allow the worm to gnaw the root, and we must not be surprised if the branches, the leaves, and the fruit, little by little decay. Secondly, we corrupt the Word of God when we make defective statements of doctrine. We do so when we add to the Bible the opinions of the Church, or of the Fathers, as if they were of equal authority. We do so when we take away from the Bible, for the sake of pleasing men; or, from a feeling of false liberty, keep back any statement which seems narrow and harsh or hard. We do so when we try to soften down anything that is taught about eternal punishment or the reality of hell. We do so when we bring forward doctrines in their wrong proportions. We do so when we exhibit an excessive anxiety to fence and guard and qualify such doctrines as justification by faith without the deeds of the law, for fear of the charge of antinomianism; or when we flinch from strong statements about holiness, for fear of being thought legal. We do so, not least, when we shrink from the use of Bible language in giving an account of doctrines. We are apt to keep back such expressions as 'born again,' 'election,' 'adoption,' 'conversion,' 'assurance,' and to use roundabout phraseology, as if we were ashamed of plain Bible words." The recent discussion over N. T. Wright, and some of the frankly off-base comments in that thread, jogged some memories and stirred some thoughts. After the Lord saved me in 1973, the first real Biblical scholar I remember reading was F. F. Bruce. Most of you will know the name. If you're old enough, you'll know that particularly in the '70s and '80s, it was "cool" to be able to name Bruce as "one of us." He was reputed to be both an evangelical and a first-rank scholar. So I wrote Professor Bruce over there in England, myself being around 18 years old and just getting my Biblical feet under me. I told the professor that I couldn't believe that he was just one man. No, he had to be a committee of scholars writing under a pseudonym. Otherwise, how could he do it? To my delighted startlement, Professor Bruce actually took the time to answer me. He assured me he was an individual. "My name is not Legion, for we are not many," he added wryly. Then he gave me a priceless bit of advice. "How do I do it?" he mused, to my question. Then he said he'd never stopped to think about it. He supposed it was a matter of "filling up odd moments." That very practical little nugget has helped me ever since. But as I grew in my studies, I began to wonder about Bruce's own convictions. I was learning about Biblical criticism, and liberalism, and some of his writings left me a bit unsettled. He characteristically couched everything he said, hedged, cited this or that scholar, or the "early Christian community's" beliefs. He often seemed evasive. What did he believe? So I wrote and asked him point-blank who wrote the Pastoral Epistles, and the like. I came to learn that he did not accept the Bible's attribution of the Pastorals (among others) to Paul, nor various other straightforward canonical evidence. He had a fairly standard liberal line, but he seldom came out with it in his writings, which evangelicals like me bought prodigiously. At the time, I was disappointed. But years later, my disappointment turned to real sadness as I read Bruce's Paul: Apostle of the Heart Set Free, from 1977. Published when Bruce was in his late 60's, this should have been the seasoned product of decades of immersion in the text of Scripture. Surely years of deep Pauline studies had touched the heart of this evangelical scholar. Yet what I found was constant, once-removed, third-person academicisms. Still, one could read between the lines; and what one read was not heartening. Bruce saw Paul and Luke as disagreeing with each other, he batted about what the early Church believed about Scripture rather than what it says; in fact, Bruce did not seem to think that the meaning they took from OT texts was legitimate. Since Bruce wrote the book, of course it had a wealth of good academic information. What it didn't have was heart, contrary to the title. No proclamation, and a troubling concern about and from the wrong side of issues from Paul -- usually between the lines. Since Bruce rejected Pauline authorship of some of the apostle's last and most passionately personal letters, a fair bit was left out of the portrait of the great apostle. What Wright says about anastasis is just wonderful, right-on. His defense of the eyewitness character of the Gospels, and his broadsides at Bultmann and his ilk -- simply delightful. But then it comes down to some "touchy" issues, and he waffles, is diffident, double-spoken, tepid. Wright's defenders say, "Oh, sticklebats. That's just how academics talk." So... academics get a "pass" from being Christians 24/7? And besides, what's that word that comes before "Wright"? Isn't it "Bishop"? What's that mean? What are the office-hours for a "Bishop," anyway? Did he do the interview in his "off" hours? I've done academics, I've got some dusty "creds," I guess; taught beginning and advanced Hebrew in seminary, Old Testament Theology elective, and this and that here and there. But I never got the idea that my discipleship ended when I opened a book, or stood behind a lectern. No one ever explained that doing academics gave me a "pass" from being passionately gripped by a Biblical worldview. Here's the Christian vision: "The earth is the LORD's and the fullness thereof, the world and those who dwell therein" (Psalm 24:1). God is not confined to a ghetto. It's all His property -- everything, material, spiritual, conceptual. There is no atom in all the universe that is not His possession, not His by right, does not own Him as its master. Or else the Bible is nonsense, and you shouldn't bother with it. Historiography? God's. Lexicography? God's. Theology? God's. Higher criticism, lower criticism, middlin' criticism? God's. See the pattern? Consider the attitude that speaks thus: "Well, that's all very nice, but to be an academic, to speak and walk in that world, one must put aside one's religious convictions, and concern oneself objectively with facts, not faith." That's an urbane way of saying, "You know all that Bible stuff? Nonsense. Sheer bosh and fairy-tales." Am I making a naive or obscurantist statement? I don't think so. While the Bible bears the marks of its human authors (it is "letters" and "Scripture"; 2 Timothy 3:15, 16), it is unlike any other book in that it is theopneustos, God-breathed (2 Timothy 3:16). It claims to present God's words from the first verses to the last. Now, with all due apologies to pomo's (i.e. none), this is a categorical statement. It is true, or it is false. And in approaching the Bible, we approach it as necessarily what it claims to be, or not necessarily. For all intents and purposes, "not necessarily" = "not." What about being all things to all men? That's potentially the subject of a much longer post, and probably by a better man than I (Phil?). But I do note that in Athens (Acts 17), Paul was able to hold his own with the philosophers, and quote some of their own writers from memory. Yet they knew he preached Iesous and Anastasis (Jesus and the resurrection), and they had no doubt that he was making an authoritative proclamation to them. Now, I can hear objectors sputtering, "So you are saying that a man should warp and twist the evidence to fit his religious convictions?!" That is in fact exactly what I am not saying. Think: that charge rests on the premise that the Bible is not what it claims to be. Think further. If I have to twist and hide facts to treat the Bible as the Word of God, then it isn't the Word of God. I'm deceiving... someone. Myself, my readers; someone. But equally, if the Bible is what it claims to be, and I speak of it as if it is not, it is then that I am twisting facts and being deceitful. I don't really see any way around it. Read Matthew 22:34-40 carefully. Find me an exemption-clause for academics. In what settings should one love God will less than his whole heart and mind and soul and strength? In what interview-settings should one not be lovingly concerned for the souls of his interviewer and listeners? How could not being ready to answer the question, "What must I do to be saved?" possibly be seen as a positive Christian quality? If you and I are not striving to be genuine Christians fulltime and everywhere, will we be genuine Christians anytime, or anywhere? Tim Bayly made a post yesterday that struck a chord with me. It was a response to an interview with Bishop N. T. Wright that was broadcast on Australian radio in Sydney last week. Tim was replying to a transcript. I had listened to the actual broadcast. But Tim's reaction put into words my very thoughts about the Bishop's trademark style of verbal shufflingmore powerfully and more succinctly than I ever could have done. Tim's post was also a fitting addendum to Sunday's Spurgeon excerpt about the evil of ecclesiastical double-talk. David Gadbois at Mongrel Horde added some thoughts about Anglicanism in general that likewise echo my opinion exactly, almost as if he read my mind. Anyway, a discussion between Tim Bayly and our old friend the Blue Raja broke out in the meta here. Since it was buried in a days-old post, I thought I'd bring it to the top, at least for an hour or two, because it deals with issues that are very much at the heart of what this blog is all about. The following post is borrowed from the new Shepherds' Fellowship blog, Pulpit Live. John MacArthur now blogs there weekly along with several staff and lay pastors of Grace Community Church, Sun Valley, CA. The Shepherds' Fellowship is a resource primarily designed to extend the benefits of Grace Church's annual Shepherds' Conference to pastors year round. The new blog gives the rest of us an opportunity to listen in. John MacArthur is no stranger to longtime readers of PyroManiacs. He is senior pastor of Grace Community Church and perhaps is best known as the teaching voice of "Grace to You," heard daily on hundreds of radio stations worldwide. In the early part of the 20th century liberalism took mainline Protestant churches by storm. In fact, it might be argued that the first half of the century ushered in the most serious spiritual decline since the Protestant Reformation. Historic evangelicalism,1 which had dominated Protestant America since the days of the founding fathers, was virtually driven out of denominational schools and churches. In a few decades, liberalism virtually destroyed the largest Protestant denominations in America and Europe. Evangelicalism managed to survive and even seemed to thrive for awhile outside the denominations. But it never regained its influence in the mainline groups. Instead it flourished chiefly in relatively small denominations and non-denominational churches. Sadly, the broad movement that encompassed evangelicalism in the 20th century now seems poised to follow the very same path that led the mainline churches to disaster a century ago. Despite all that, Fosdick ultimately would not acknowledge the literal reality of God's wrath toward impenitent sinners. To him, "the wrath of God" was nothing more than a metaphor for the natural consequences of wrongdoing. His theology would not tolerate a personal God whose righteous anger burns against sin. To Fosdick, the threat of hell fire was only a relic of a barbaric age. "Obviously, we do not believe in that kind of God any more." Fosdick wrote those words almost ninety years ago. Sadly, what was true of liberalism then is all too true in the so-called "evangelical movement" today. "Evangelicals" have to a very large degree rejected the reality of God's wrath. They have disregarded His hatred for sin. The god most evangelicals now describe is completely benevolent and not the least bit angry. "Behold therefore the goodness and severity of God" (Rom. 11:22). Ironically, an overemphasis on divine beneficence actually works against a sound understanding of God's love. It has given multitudes the disastrous impression that God is kindly but feeble, or aloof, or simply unconcerned about human wickedness. Is it any wonder that people with a such a concept of God defy His holiness, take His love for granted, and presume on His grace and mercy? Certainly no one would fear a deity like that. 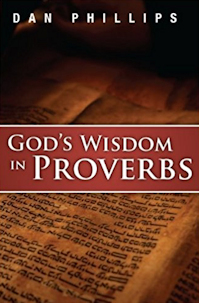 Yet Scripture tells us repeatedly that fear of God is the very foundation of true wisdom (Job 28:28; Ps. 111:10; Prov. 1:7; 9:10; 15:33; Mic. 6:9). People often try to explain away the sense of those verses by saying that the "fear" called for is nothing more than a devout sense of awe and reverence. Certainly the fear of God includes awe and reverence, but it does not exclude literal holy terror. "It is the Lord of hosts whom you should regard as holy. And He shall be your fear, and He shall be your dread" (Isa. 8:13). We must recapture some of the holy terror that comes with a right understanding of God's righteous anger. We need to remember that God's wrath does burn against impenitent sinners (Ps. 38:1-3). That reality is the very thing that makes His love so wonderful. We must therefore proclaim these truths with the same sense of conviction and fervency we employ when we declare the love of God. 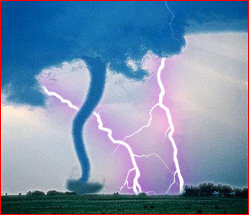 It is only against the backdrop of divine wrath that the full significance of God's love can be truly understood. That is precisely the message of the cross of Jesus Christ. After all, it was on the cross that God's love and His wrath converged in all their majestic fullness. Only those who see themselves as sinners in the hands of an angry God can fully appreciate the magnitude and wonder of His love. In this regard our generation is surely at a greater disadvantage than any previous age. We have been force-fed the doctrines of self-esteem for so long that most people don't really view themselves as sinners worthy of divine wrath. On top of that, religious liberalism, humanism, evangelical compromise, and ignorance of the Scriptures have all worked against a right understanding of who God is. Ironically, in an age that conceives of God as wholly loving, altogether devoid of wrath, most people are tragically ill-equipped to understand what God's love is all about! The simple fact is that we cannot appreciate God's love until we have learned to fear Him. We cannot know His love apart from some knowledge of His wrath. We cannot study the kindness of God without also encountering His severity. And if the church of our generation does not regain a healthy balance soon, the rich biblical truth of divine love is likely to be obscured behind what is essentially a liberal, humanistic concept. 1. From the time of the Protestant Reformation until fairly recently, the expression evangelical has referred to those who believe that the Bible is inspired and absolutely authoritative, and who therefore understand that salvation from sin is available through faith in Christ alone, not by any works or sacraments. When I speak of "historic evangelicalism," I'm using the term in that specific and technical sense, minus all the contemporary baggage the word evangelical seems to have acquired. 2. Harry Emerson Fosdick,Christianity and Progress (New York: Revell, 1922), 173-74 (emphasis added). 5. See Robert Brow, "Evangelical Megashift," Christianity Today (February 19, 1990), pp. 12-14. Yesterday at my blog, I made a quick report about persecution of Christians in India (HT: Brad Williams) which got some people reading and thinking about the Gospel work, and good for them. And good for the Gospel, yes? That’s the point of being a servant of the Gospel even unto death: preaching the Good News of Jesus Christ to this lost and dying world. And let me also offer full disclosure in that I am sitting here listening to my fancy black iPod in a warm office with a Coke and a very-unhealthy breakfast from Sonic (Phil: I'm thinking of you), so if anybody is a fat, happy Christian, it would be me. Very fat, very comfortable. Very risk-insulated in spite of the fact that they are knocking down the wall in my store today to add 500 sq ft so I can better pander minister to Homeschool moms in a 100 mile radius. Acts 18:1After this Paul left Athens and went to Corinth. 2And he found a Jew named Aquila, a native of Pontus, recently come from Italy with his wife Priscilla, because Claudius had commanded all the Jews to leave Rome. 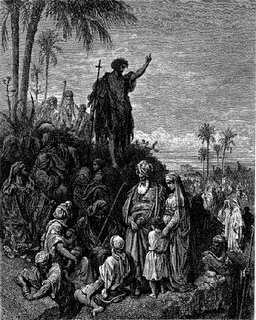 And he went to see them, 3and because he was of the same trade he stayed with them and worked, for they were tentmakers by trade. 4And he reasoned in the synagogue every Sabbath, and tried to persuade Jews and Greeks. Fair enough, right? Paul is in missionary mode, and after his first pass through the ancient world with Barnabas he is living in Corinth and (in somewhat-useful modern terms) is a bi-vocational preacher until his helpers arrive. I think that example says much good about our friends and brothers in India (as one example) who are being mistreated even under that law for the sake of their Gospel work. But the thing about the Gospel, and the work, and the Bible, which is always apparent to me is that it also says something about the wannabes. Before I go on, let’s be clear that when we first become disciples of Christ and not just members of the local religious club we are all wannabes. As I remember my conversion experience, it was a pretty heady thing. And I wanted to try everything – try being in the choir (be glad you missed it), try being a teacher (which, if your church is right-minded, it does not let new believers do), try being a greeter (as if I was that nice in person), etc. Again, if you have decent elders and discipleship going on in your church (and that’s what I think I had when I first came to the church as a disciple), there’s nothing wrong with this if it is contextualized or moderated with the end of true discipleship in mind. It’s fine to see all the places at the dinner table, but in the end you should sit in one seat and not handle everyone’s silverware for them. But then we all meet our first real-life missionary – someone who lives in a place we never dreamed of who preaches the Gospel to people we never imagined existed -- and we get blown away. And rightly so, because the person living in danger of his life (or her life, or the life of their whole family) is actually doing the Gospel work in a black-and-white kind of way. 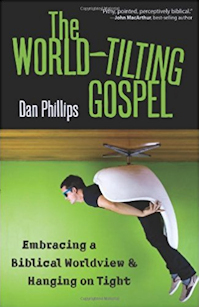 I believe strongly that it is possible and necessary to do the Gospel work in our secular workplaces – as necessary as preaching to Muslims and Hindus – but somehow (especially to a new believer) the exotic nature of preaching to people in a completely alien culture seems like the American Dream of Christian service. We get this picture that we could be both Indiana Jones and Saul of Tarsus, and boy is that cool. So in that respect, we are all wannabes in our spiritual immaturity, and we think we wannabe Indiana Tarsus or Prof. Saul Jones or whatever and "really" "do the work." That is: as if making sure there’s a Christian church and culture here at home to come back to and to supply foreign missions is not really doing the work. Someone who is spiritually mature recognizes that missions (as we use the term in 2006) is a function of the great commission but that it is not the only function of the great commission. In that context, I want to consider an example as generically as possible. Let’s imagine that there’s a work going on in Central America which is seeking out, sheltering, educating and discipling abandoned children. It’s heart-rending when you see these kids on the videos – absolutely devastating. You can see them sleeping huddled together in trash heaps at night to keep warm – any night of the week, but particularly in the video you are watching. And in the video, you see a lot of American youngsters who flew down there to spend a week doing part of that work – fishing these kids literally out of the trash and placing them in a new home and with a new lease on life. Booyah, right? It is hard to say, "yeah, what a waste of time," when these Americans could have just as easily chosen Daytona or Cancun or whatever – clearly, if that’s the choice, they did good. My suggestion is that this is a false choice stacked up by an immature view of commitment and sacrifice. Before you read another word, let me say this clearly: I am not advocating an end to short-term mission work. I am advocating an end to treating missionary work as if it was a vacation. Think about this for a second: to fly down to El Salvador (as an example) for a 10-day stay requires a minimum of 3 days travel time, round trip. You have to spend time in customs, you are flying for a whole day each way, and after you finish driving to wherever you are going and back, it’s at least 3 days. So your 10-day trip is more like 6 or 7 days on the ground. Once you get there, you need a day of orientation (which we might call "sight seeing" if we were feeling a little hard-headed), which brings you down to about 5 or 6 days on the ground. So you might put in 6 days at 10 hours a day, which in the US would go for about $500, but in El Salvador someone could be hired to do that work for less than half of that. But let’s value your service down there at $500. Now, what you spend to get down there is more like $2000 after you get your shots and buy your tickets – and if this is your first trip out of the country, you also buy luggage, so maybe you spend $2500. And about 4-6 times a year (on average), a plane load of about 30 people make this trip down. So for the cost of about $75,000, they provide this mission with about $15,000 in services which the mission could probably have purchased for about $7500. And before I start sounding like Tony Campolo here, maybe the cultural interaction is worth it on both ends. Maybe having someone spend their vacation in a mission rather than in a hotel on a beach is worth it. I can tell you from personal experience that I will never vacation in the Caribbean again because I was conscience-stricken the whole time I was there back in 1997. I spent about $5000 on a vacation with my wife driving past people who were going to eat less that month than I did in any single day at the resort. I was mortified. If you’re going to spend $5000, go to Disney where you can pretend there are no hungry people even at $8 for a sandwich and $3 for a Gatorade – without which you will die. But is it actually any better to treat mission work like a vacation? For example, what does it say about our beliefs to spend about 6 days doing what appears to be good work in Christ’s name and then coming home, taking a shower, and going back to our dorm room or our neighborhood or whatever as if the work is all done? It’s dilettante missionary work. It makes us feel better that we did the "Christian" thing for "those people" (you might be nicer and say "those kids"), but it is wildly wasteful and self-aggrandizing. To spend $75,000 to provide $7500 in value is absurd in any circumstance, but to do it for the sake of making us feel like Indiana Tarsus – we went into the Third World, man, and we built a house because, like, they don’t have Home Depot -- is frankly ridiculous. Here is what would make more sense: the first plane load of folks down – they stay for the whole year. Net cost: $75,000, plus room and board at EL Salvador standard. Then the next 4 plane-loads of folk should simply send their $75,000 per plane load for a net $225,000 in cash for the mission – which is a lot of money in El Salvador. But what that would mean is that 3/4th of the people who were going to vacation in El Salvador would simply have to do something for the sake of the Gospel rather than the sake of their experiences and make a personal sacrifice. And the ones who go down for the year? Dude: they are spending a year off from work in a country that’s like a discarded suburb of Miami (which I don’t think is a nice thing to say) in terms of climate and habitat, making a personal sacrifice for the Gospel work. And like Paul in Corinth, they have the chance to live for the sake of the Gospel. The work is important. If you are reading this blog entry, hear me say that the work is important. The work is important. My point today is that it is so important that we ought to treat it like it is important rather than a hobby. The Gospel is not a hobby. The lives we may or may not reach with that good news – they are not hobbies. Jesus Christ is not a hobby. If you have made him one, today would be a good day to do something about it. Something in Luke 7:17-23 struck me afresh. Jesus had been performing miracles, and the word spread as far as John the Immerser. John sent some of his students to Jesus to ask Him, "Are you the Coming One, or shall we look for another?" (v. 20). So, shortly after the incident of a Gentile's display of faith from a distance (vv. 1-10), we have John's display of doubt (or its cousin), from a distance. John is languishing in prison (cf. Matthew 11:2). He clearly is in something of a crisis of faith, and I doubt many of us are in a position to fault him too condescendingly. Does He perform a wonder especially for John, a fresh proof or indication of His identity? Does He exert His power in John's life, from a distance? Does He "zap" him with a direct, sovereign-grace pick-me-up on John's faith? Does He psychologize, or offer extended counsel? He does none of those things. I find Jesus' reply personally instructive, bracing, challenging: "Go and tell John what you have seen and heard: the blind receive their sight, the lame walk, lepers are cleansed, and the deaf hear, the dead are raised up, the poor have good news preached to them. And blessed is the one who is not offended by me" (vv. 22-23). Candidly, it has always struck me that our Lord's answer seems a bit brusque. In effect, Jesus' response amounts to this: "You already know enough. You have access to enough facts. You possess enough information. What you need to do is remember and think about what you already know. So do that. Put it together for faith." There is a laziness to unbelief, a laziness to doubt. It's easy enough to spot in the cocky, big-talking "skeptic," usually equal parts ignorance and arrogance. They hit one verse in the Bible they can't immediately understand, proclaim it an error, and research no further. One incomplete notion they have of God clashes with one superficial impression they have about life, and they pronounce the entire endeavor of faith pointless folly. But at the moment John's situation has me more concerned with this same sort of laziness in Christians, in us, in me. Unbelief looks at a rough turn, a nasty twist, a horrid lurch, and simply stops thinking. Unbelief forgets everything we've learned about God from His Word. It forgets sacred history, forgets (or does not reflect on) the centuries related in Old and New Testaments. It learns nothing from church history, and the lives of the saints. It forgets our own history, forgets God's many mercies, graces, blessings, and acts of deliverance in our own lives. Unbelief forgets all the truths we've learned about God -- His omniscience, His omnipotence, His wisdom, His goodness, His covenant with us. Unbelief forgets all these things, plops down on the floor, folds its arms, and pouts, "That's it. God failed. He let me down. I'm done for. The whole thing is a sham." And there our lazy unbelief would have us sit. We do then do a "thinking" of a sort, but it scarcely warrants the name. In an emotion-driven muddle, we build our case against God. We amass "evidence" of His shortcomings. We go on, perhaps, with the motions of being a Christian (because at heart we really do believe), but we're in a snit, a pout, a state. He let us down. So much for Him. We feel that we're being smart and honest, but what we're being is lazy. We feel very strongly, and we surely don't understand the latest twist of Providence -- but we forget everything we knew, we embrace our feeling as if it were truth, and we sulk. We refuse to think it through. We don't insert Part A into Part B; we don't put apply we know from the Word to our experience. That, I think, is why Jesus seems to handle John so roughly. But this harshness is that of the good physician, who would pluck out the actual cause of our misery, though the operation is painful. He knows that immediate pain is essential, if ultimate healing is to be obtained -- and he would have no less for his patient. As soon as the messengers leave, Jesus speaks His heart about John, praising him to the heavens (vv. 24-28). Jesus loved and prized John. This bracing response came not from real impatience or disdain, but from love. "Don't stay in a slump, John. You know better. Use what you know." It is as Paul fires off to the Corinthians, who (among other things) were tolerating those who denied resurrection: "Wake up from your drunken stupor, as is right, and do not go on sinning" (1 Corinthians 15:34 ESV). I will tell you from too much bitter personal experience: it goes down a lot easier when we preach this sermon to ourselves, than when we get to where we need to hear it from another. Best not to be the last to know, and deal with, the truth. The PyroManiacs usually devote Monday space to highlights from The Spurgeon Archive. This week, as a special treat, we give you Spurgeon a day early. The following excerpt is an entry from the May 1885 issue of The Sword and the Trowel. Is it not very possible for a man to talk without knowing what he is saying? Certain "modern thought" teachers appear before us as a luminous haze. It is "not light, but darkness visible." Like M. De Biran, our learned lumberer might say, "I wander like a somnambulist in the world of affairs." He has an idea, but he does not quite know where to find it; and so all through his talk he hunts for it, "upstairs, downstairs, and in my lady's chamber." We once heard a sermon which for half an hour did not convey to us a single thought. We whispered to our neighbour, and found that he was equally befogged, and so we concluded that the density was not in our brain, but in the discourse; yet the preacher was no fool, and we therefore concluded that he had been taking an overdose of metaphysics. It did not matter much, for the sermon was not upon a subject of any material importance to man or beast; but when a person is preaching the gospel of our Lord Jesus Christ it does matter a great deal. It is treason to men's souls to conceal the plain truth of salvation beneath a cloud of words: where God's honour and man's eternal destiny are concerned, everything should be as clear as the sun at noonday. Metaphysical becloudment, when a soul is at stake, is diabolical cruelty. The apostle Paul would agree. He wrote, "If the trumpet give an uncertain sound, who shall prepare himself to the battle?" (1 Corinthians 14:8). The postmodern preference for ambiguity and uncertainty is seriously at odds with Scripture. It also runs contrary to every lesson church history teaches. Study any era of revival or the style of any great preacher and you will discover that boldness and clarity were their hallmarksnever qualities like vagueness, ambivalence, hesitation, wavering, apprehension, a cloudy message, fickle opinions, obsessive self-criticism, or any of the other qualities postmodernism falsely equates with "humility." Incidentally, Pilgrim Publications have recently released volume eight in their collection of material from the original editions of The Sword & the Trowel. Volume 8 covers the years 1885-1886, and the above excerpt is taken from this volume. Gilbert Bilezikian, chief engineer of Willow Creek's seeker-sensitive approach to building megachurches, sounds like he's ready to make the jump to the "emerging" bandwagon. (ht: Scott Wagoner via Scot McKnight). Bilezikian's pessimism about "the church in the West" sounds like an echo of pollster George Barna, who recently told Christianity Today that the church is "a step and a half away from extinction." If you tried to name the five people who have done more than anyone else to shape theories of ministry and church-growth philosophy over the past 20 years, Barna and Bilezikian would both be near the top of the list. Today's shallow, pragmatic, non-doctrinal, biblical-in-name-only "evangelicalism" and its high-gloss approach to professional showmanship and superficiality is the legacy of ideas these men have foisted on the evangelical movement for two decades or longer. They have helped steer the movement to the precipice of total disaster. So between you and me, I don't think they're in the best position to be giving churches and pastors advice about where we ought to go from here. Unfortunately, however, I think this is what's on the horizon for the evangelical movement. This morning in my e-mail in-box I had an appeal from someone out there who is urging me to help him start a campaign that he is convinced will solve all the major spiritual crises of our day. He writes, "Spiritual leaders can help create a sense of the sacred by teaching about the benefits of reducing light pollution. Simple 'win-win' steps to reduce light pollution will result in a profound, positive alteration in our relationship to the earth and heavens: Seeing a star-filled night sky will help restore a sense of wonder and aweand increase spiritualityfor us, our children and our children's children." I did my part: I forwarded the message to Barna. The hit counter on Frank Turk's other blog passed the 100k mark yesterday. I know that, because Darlene was visitor 100,000. No prize for that, other than the always-fascinating and fun-to-read content on the blog itself. Plus, she got the following picture, which is actually clipped from a photo she took with a digital camera, because she did not know how to do a screen capture. PS: I'm doing some maintenance work on the blogroll today, deleting blogs that have become more or less inactive, and revamping the order where necessary. If time permits, I'll try to add a few entries today, too. A few of my favorite blogs are now dormant. I hate to delete them from the blogroll, but I'll reserve their place for when they return to posting. Chief among these would be Kevin Bauder's blog, "Let's Be Serious." I'm encouraged by the fact that the blogtemplate is still active, but I have removed the entry until the blog becomes active again, which I hope happens soon. And in a less serious but still vital category, I really miss the enigmatic Deathrow Bodine. His place of honor awaits him in our blogroll if he ever resurfaces. "God Blogs" vs. "Christ blogs"
I have to admit that I have been somewhat of an ungrateful son for not stopping in on you PyroReaders and saying something funny, smart and useful this week. See: I've been busy. What has kept me the busiest this week has been the soon-to-be-launched StumblingBlog.org. That link is still getting its place in your local name server, so it might not work when you’re reading this. However, even if it does, you'll see the "coming soon" page and not anything worth reading yet. Now, some of you are saying, "oh please – so what? There are SO MANY aggregators and wannabes to the Blogdom of God that what's this blog going to do? Seriously: if I wanted to read what Christians have to say about stuff, I'd read TeamPyro and all of Phil's recommended links. Cent's new blog is TOTALLY wannabe." Listen: I'll admit that there are dozens of sites that aggregate links from people using the name "Christian" or the headline "God". What I want you to do is ask yourself: how many of them exist under a confessional statement of faith? TeamPyro does. 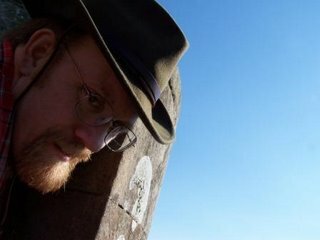 And this blog does a fairly good job (when Darwin Dan isn't all self-obsessed) of staying inside the confessional boundaries, yes? For the most part, that's what gets most of the play here, whether it's stated or unstated: we're Baptists of the most-wicked kind, the ones who aren't ashamed of being Baptist and radically-engaged in promoting reformation (not reinvention) in the church body. So if there's a TeamPyro, why start another blog? And frankly, Frank, if you can't be bothered to post 3 times a week here at TeamPyro, why start StumblingBlog.org? There's a great answer to that, so follow along with me. The first reason is this: who really clicks through the blogroll? Y'know, for example, on the days when I post at TeamPyro, I get a bump of 300-500 clicks from here, but on the off-days, I get between 100 and 250 clicks. And I have a fan base due to my endless hobby of self-promotion. 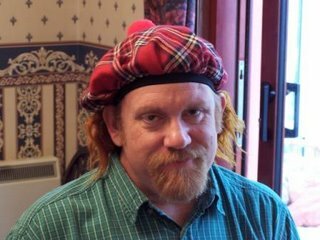 How many of you have recently (or ever) clicked on Scott McClare's blog, or Reid Ferguson's blog, or Loki Odinsson's blog? These are all great blogs that people ought to be reading because they are inside the fence and they are talking about things that matter to the Christian life. But they don't get the traffic. And why is that? Are they really boring, unreadable hacks? I think that the problem (this is the second reason for starting SB.org) is a blog problem and not a blogger problem: you don't have a chance to sample the goods in a sidebar, but if you had the chance to read the "headlines" or the blurbs, you'd be in for a LOT of them. The third is that most blog aggregators look like they were designed by UNIX programmers from 1987. They make me sick to look at. I have a very interesting design I'm working out (after I finish dry-walling this weekend for the wife) which will promote the work of the Gospel message by demonstrating we understand the technology. And the last is perhaps the most important: generic "God Blogs" are the best way (or worst way, depending on how you want to use the superlative) to water down the Gospel message and inoculate people against the life-changing message of Jesus Christ. When you put a blog like this one in the same "God blog" category as RELEVANT MAGAZINE and Jimmy Akin.org and Hugh Hewitt, how exactly is the unbeliever supposed to know whether the Gospel is about the work of God on behalf of man or about the same as talk about Allah or the Mormon Church as valid faith expressions? A blog aggregator which requires the participants to stay inside a confessional gate – like the Cambridge Declaration, substantiated by one of the 4 major confessions – will set the bar a lot higher in terms of content and real meat. We don't need "God Blogs", as if theistic theology is a reasonable substitution for the book of Romans. We need Christ blogs – blogs which are about preaching the word to this world in certain, affirmative terms. We need the people who are castigating Emergents for being completely rudderless; we need people who give a hoot about Christian marriage; we need people who think that underneath the real outworking of the church is an indwelling of God's word, clearly expressed. ; we need people who think Baptism is more than a bath which people can take as often as they like – including not at all. And hear me clearly: these blog ought not all to be Th.D. dissertations or abstracts. They should be accessible to the readers of blogs and relate to the things blog readers are thinking about and living in. That's not a wild concession to culture or a call to be relevant: it's a fact that discourse about the subtle lexical nuances of the Greek in John 6 has only the most remote meaning to those people surfing the blogosphere – but that the content of John 6 has application to the guy at work who reading this blog and wondering if there is any hope for this world. So what I've been doing this last week is thinking about what a blog which represents the best of confessional blogging would look like – both from a template standpoint and a perpetual content standpoint. And I think I have an idea. When I know more about it than that, I'll let you know. Until then, please leave a comment on Daniel's last post so he'll know you love him, and visit his blog because you shouldn’t wait until StumblingBlog.org is up to read his headlines. The online magazine of The Shepherds Fellowship, Pulpit, has morphed into a blog. Best of all, it's now publicly available; not restricted to Fellowship members. (I think if you want to comment, you have to be a member, but anyone can read.) The primary contributor will be John MacArthur, of course. So those of you who have been wondering if MacArthur will ever blog, your question is now answered. Nathan Busenitz, Adam Bailie, Rick Holland, and other guys from the pastoral staff of Grace Church and the faculty of The Master's Seminary will also post regularly. I'll also be contributing for comic relief, hopefully a couple of times a week or so. My first entry is on line now. Bookmark that blog and watch it. My closest and most enduring friend (for some 35 years now) is Steve Kreloff, who for nearly 25 years has been the senior pastor of Lakeside Community Chapel, Clearwater, FL. They've been experimenting with radio for the past year or so, and I've encouraged them to expand the outreach of that ministry by podcasting. Podcasts aren't available yet, but you can listen online at VerseByVerseRadio.org. Check it out. Steve grew up in Brooklyn in a Jewish home, and his background and personality are practically the polar opposite of mine. (In other words, he is a really likeable guy.) But the Lord has given us a deep friendship that has spanned a lot of years and a lot of miles. OK, the reformation21 blog is interesting and funny, and I love the repartee. The pseudonyms are cute and clever. But it would be a lot easier to follow if somewhere on the posts, perhaps at the end of each entry, contributors would sign their real names. Speaking of reformation21 contributors, If you haven't listened to Mark Dever's interview with Carl Trueman yet, what are you waiting for? I really like Carl Trueman. Everything I have ever heard or read from him resonates. Dever, of course, is likewise always pure gold, so it's a real treat to listen in on a conversation between the two of them. One of the highlights of this interview is Carl's insider's assessment of Academia, in which he explains why academic types always seem to have new perspectives on everything. I won't spoil the interview for you; listen to the whole thing. Speaking of my seminar, it's intriguing that the discussion thread at Carla Rolfe's EmergentNo melted down into an argument about creationism after someone defending the emergent idea dismissed my point of view because it is held by six-day creationists. Such an un-scientific view of creationism "rebuts itself," he said. Six-day creationism supposedly represents the utter abandonment of "serious academic theology and honest thinking." Note: I made no reference to creationism anywhere in my seminar. This had nothing to do with anything germane to the discussion. What intrigues me most is not the fact that one person who sees himself as part of the emerging movement would employ such an overtly modernistic argument, but that not one of his compatriots who supposedly see the "good" in post-modernism called him on it. There, in microcosm, you see where the whole emergent conversation" is really headed. Remember, you heard it here first: Modernism 2.0. Blogspot and the Blogger system has been on the fritz a lot lately. It's maddening. Lately, if you can get the Blogger Dashboard to open at all, it moves like cold molasses. I'm surprised that I haven't seen a lot of discussion about this. Or am I the only one having the problem? Perhaps I'll add more to the bottom of this post as the weekend progresses, so check it again before Monday. This heartbreaking series of arrest photos is a graphic reminder of what a cruel taskmaster iniquity can beand how utterly irrational it is that fallen humanity loves sin rather than hating it. It's been a sort of back-burner bubbling joke about how I sometimes feel like the fifth Beatle here. Now, let me be transparently and emphatically clear: call me nothing, call me anything (-- well, except "Clinton"), no matter: I'm just happy, glad, and giddily grateful to be here. As long as folks read my stuff, give it a thought, and God puts it to some use to His glory, I'm a happy man. Plus, there are advantages to anonymity; for instance, the five-stars tend to draw more fire. Having said that... it's become apparent to me that maybe a little post on this might be called for. Perhaps with some helpful illustrations? 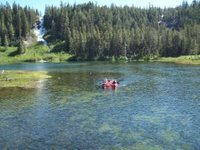 Here is a picture of me canoeing in one of the Twin Lakes, in Mammoth Lakes, California, and not being (contrary to early Frank here) David. 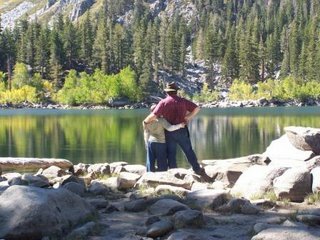 Here is a picture of me and and my #2 son Josiah, at one of the Sherwin Lakes in the Eastern Sierra, not being (among other things, contrary to more recent Frank, here and here) "Dan Philips." 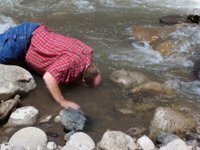 Here's a picture of me dipping my head in the East Walker River, and not being (contrary to another blog, though I forget which one) Frank. 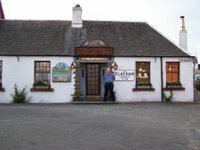 Here is a picture of me standing in front of a pub in Scotland named The Clachan, licensed in the 1734 -- not being (contrary to Tim Challies, here) James. Surely that has me sorted out for you. No? 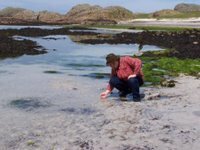 Here's me exeriencing my only-ever personal encounter with the Atlantic Ocean, from the other side, off the Scottish Isle of Iona, from where Columba evangelized and discipled the Picts in the sixth century -- and not being (contrary to Steve Camp, who did then very nicely correct himself) Don. Don't really have me yet? Sigh; okay, here goes. This is me leaning over the wall of Doune Castle (Monty Python fans would recognize it), and not being (contrary to a poster here, though I forget the thread) Phil. Besides, maybe I can torture a special blessing out of a fragment of the KJV of Luke 6:22 -- "Blessed are ye, when men ...cast out your name...."
Do we need a shorter Bible? "Harsh, and narrow-minded, and bigoted"
Pastoral marriage counseling: What if? "Proselytism" -- "to the Jew first"